We present you with the first project progress bi-weekly report since March 25-April 7, We share our latest engagements and updates with our community and we thank you for your continuous support. Security test to protect potential attack, stability test, divergence test. Based on the light client model, user synchronization, resource synchronization, as well as implementing the main-side chain management protocols. Debugging on NAT function, conducted solution enhancement. Review the security warning issued their party blockchain security and review the defense capabilities of the contract framework. Check the patches submitted by communities such as WABT and merge the security codes. Improve and update economy model for random contract. Functional safety and stability testing of the UltrainOne multi-chain architecture wallet. 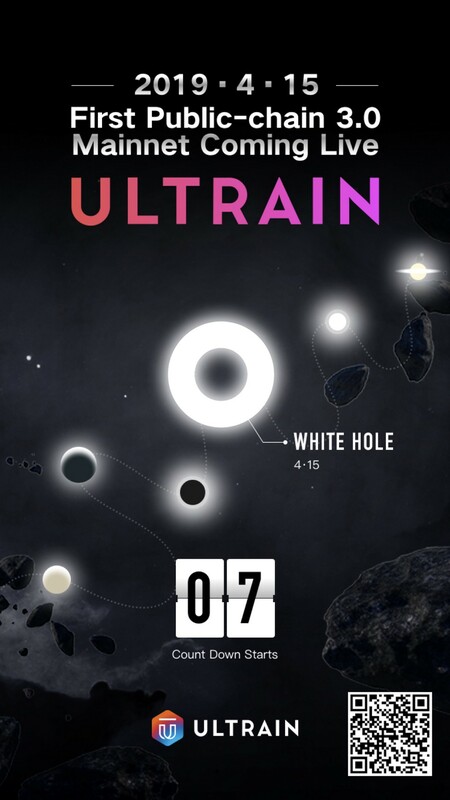 Ultrain will officially launch its mainnet on April 15th, 2019 Beijing time, achieving its White Hole milestone. Ultrain will become the world's first decentralized high-performance public chain to achieve a random dynamic architecture with sharding capability and be the first blockchain 3.0 public chain to provide commercial services! At 8pm on April 10th, Ultrain co-founder & CEO Guo Rui is invited to participate an AMA event in the Neutrino community. 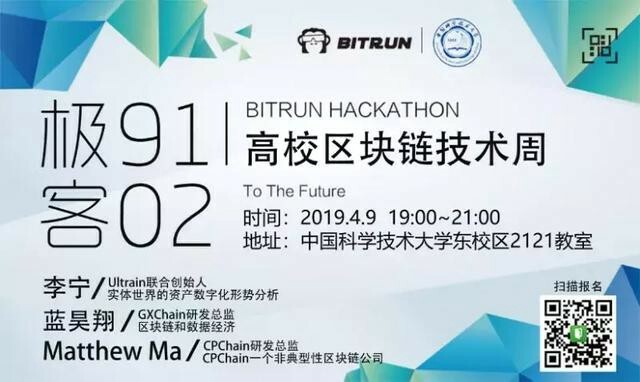 The event is themed “How to solve the problem of public chain performance by random R-PoS”, we welcome all community members to participate in the event! 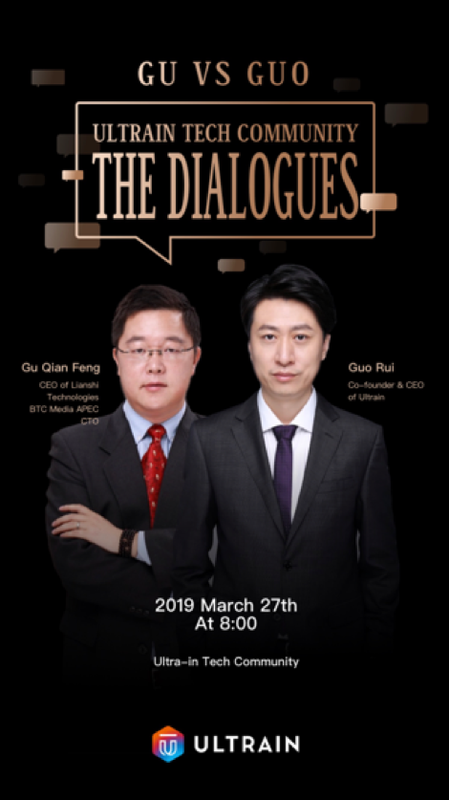 On April 12th, Ultrain co-founder Emma Liao Zhiyu is invited by the @HELLOBTCCOLLEGE blockchain community to participate in an live interview and answer questions from the community members. We welcome all community members to participate in the live broadcast! Since its initial launch, the UltrainOne APP has continually being updated to better meet the needs of community members. April as an important period for Ultrain, UltrainOne will also be completely overhauled, and be launched! On April 13th, Ultrain is invited by Tsinghua University to join a series of blockchain university activities – exploring enterprise empowerment and blockchain technology. We welcome all community members to sign up! 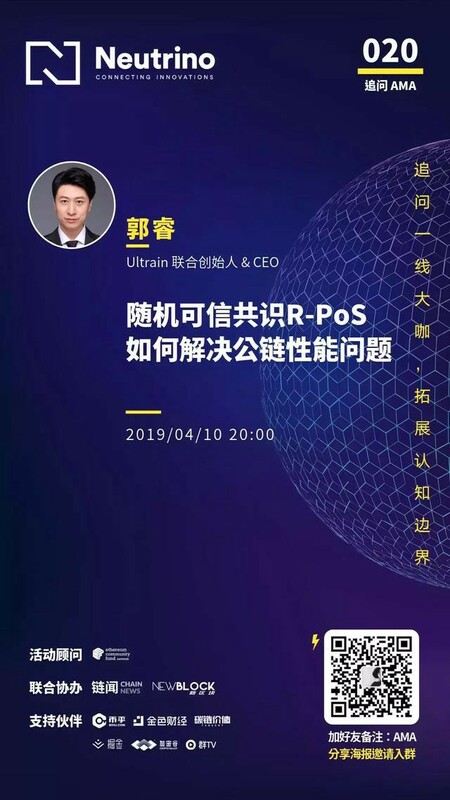 On April 9th, Ultrain co-founder & CTO Li Ning is invited to give a speech at the University of Science and Technology of China entitled “Analysis of the Digitalization of Assets in the Real World”, Ultrain will release an article on this event. As a public chain project that values global community building, Ultrain has previously launched a number of community events around the world. Since then, around the main online line, all over the world, such as Seoul, South Korea, Sydney, Europe and other places will also carry out various activities, so stay tuned! On March 31, “Innovation changes the future, science lead the times” 2019 China Blockchain Technology Application Summit Forum was held in Zhejiang Provincial People’s Hall. The conference also invited a number of industry leaders, such as Qi Xuchun, vice chairman of the National Committee of the Chinese People’s Political Consultative Conference, Jin Xuejun, president of the Zhejiang Blockchain Technology Application Association, Chen Jiu, founder of Chen Jiujin, and Mr. Guo Rui, co-founder and CEO of Ultrain, etc. Industry elites, experts and government officials give wonderful speeches. The above information demonstrated the progress of Ultrain from March 25 th to April 7th. Thank you for all your interest in Ultrain! Stay tuned for our latest developments and updates!